Porsche says that the 600-plus-horsepower sedan can do 0-62 in under 3.5 seconds with a range of “more than” 500 kilometers (310 miles). 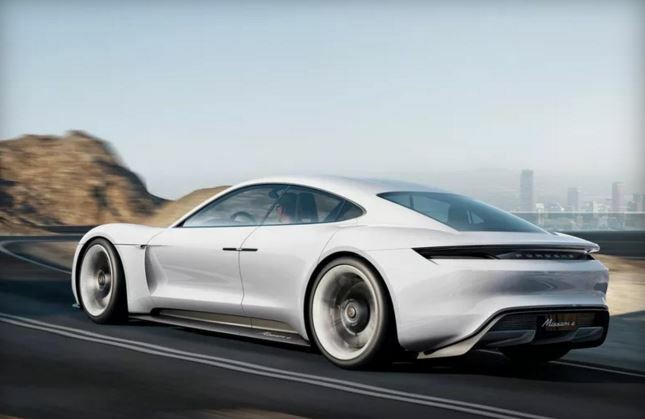 And — here’s the big one, if Porsche can pull it off — it uses a next-generation quick-charge system that promises an 80 percent charge in just 15 minutes, which is about twice as fast as the fastest chargers available today. This will be a Tesla Model S competitor through and through by the time it’s on the road, so it’ll be interesting to see what the Model S looks like by 2020.